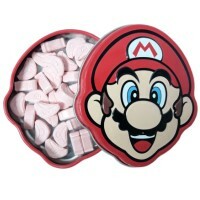 SuperMario Bros. brings you Super Star sweets in fun, collectible packaging! 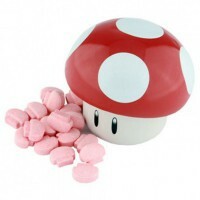 This tin full of 30-35 "Starmen" from the classic Nintendo game makes for an excellent gift or stocking stuffer. You'll feel invincible with these sweet treats! 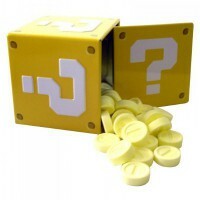 Collect all of our Nintendo-themed tins! Dextrose, maltodextrin, thickening agent E572, artificial flavor, color E102*, glazing agent E903. *May have an adverse effect on activity and attention in children. Contains GMO.